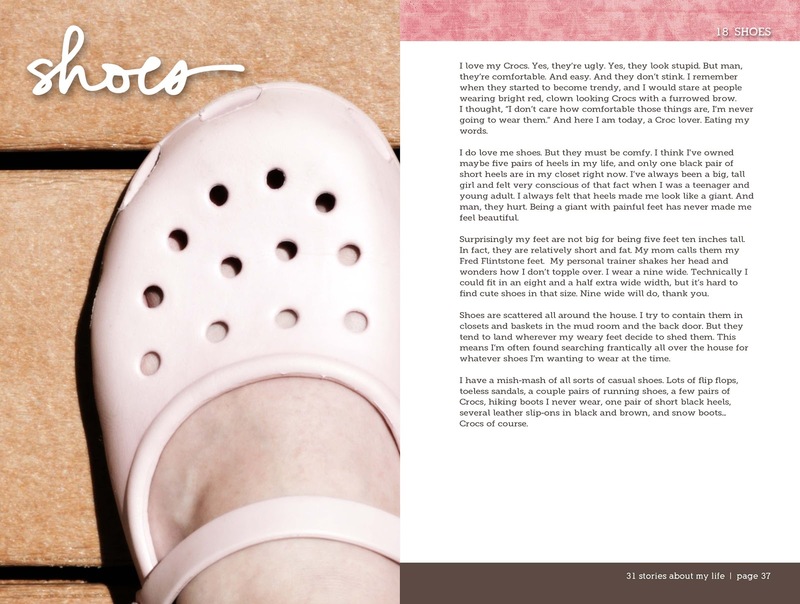 I love my Crocs. Yes, they’re ugly. Yes, they look stupid. But man, they’re comfortable. And easy. And they don’t stink. I remember when they started to become trendy, and I would stare at people wearing bright red, clown looking Crocs with a furrowed brow. I thought, “I don’t care how comfortable those things are, I’m never going to wear them.” And here I am today, a Croc lover. Eating my words. I do love me shoes. But they must be comfy. I think I’ve owned maybe five pairs of heels in my life, and only one black pair of short heels are in my closet right now. I’ve always been a big, tall girl and felt very conscious of that fact when I was a teenager and young adult. I always felt that heels made me look like a giant. And man, they hurt. Being a giant with painful feet has never made me feel beautiful. Surprisingly my feet are not big for being five feet ten inches tall. In fact, they are relatively short and fat. My mom calls them my Fred Flintstone feet. My personal trainer shakes her head and wonders how I don’t topple over. I wear a nine wide. Technically I could fit in an eight and a half extra wide width, but it’s hard to find cute shoes in that size. Nine wide will do, thank you. Shoes are scattered all around the house. I try to contain them in closets and baskets in the mud room and the back door. But they tend to land wherever my weary feet decide to shed them. This means I’m often found searching frantically all over the house for whatever shoes I’m wanting to wear at the time.